Claim a free Gravy Candle from KFC | FreebieFinder UK | Freebies, Samples, & Other Free Stuff. If you can't get enough of the sweet, soulful aroma of KFC gravy then this freebie is for you. 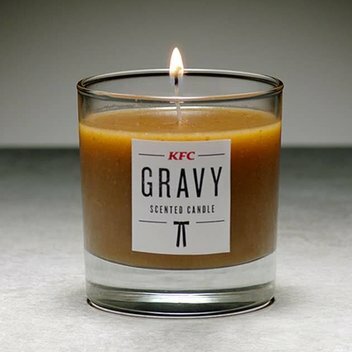 This January KFC is allowing you to fill your home with Finger Lickin’ good vibes with their limited edition KFC Gravy Candle. This was posted 2 months ago 23rd January 2019 and expired 2 months ago 1st February 2019. Enter your details in the entry form for your chance to get a free candle that smells just like KFC gravy.